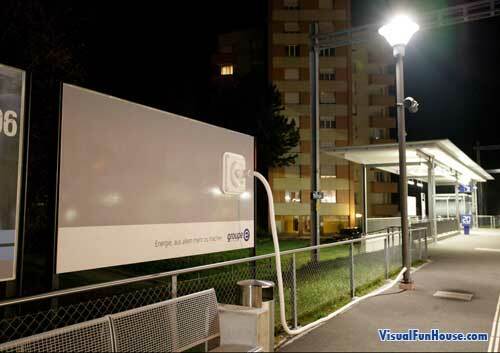 The Group E power company in Switzerland has come up with these Electric Billboard Optical Illusions as a bold eye catching way to remind people of the services they provide. 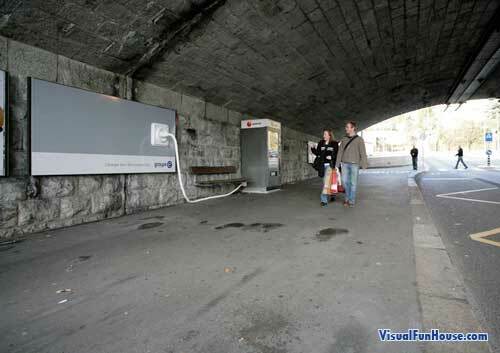 These Electric billboards have over size plugs coming out of them attached to various objects around them such as light posts, parking gates, bus stops and banking machines. 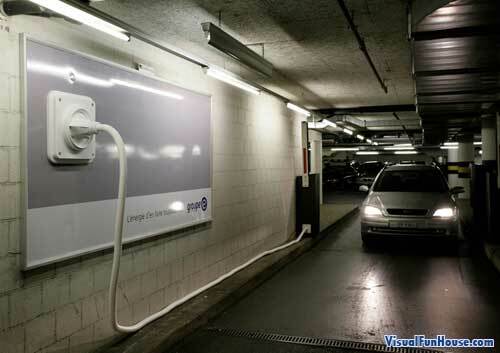 Group E is a Swiss Electrical company providing power to a good chunk of Switzerland. 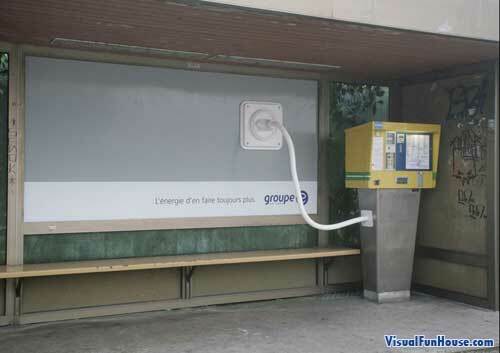 These over sized plug Billboards are a simple but cool advertising optical illusion.